Three years after commissioning the 13.4 kilometres Lilongwe by-pass road, traffic in the capital city remains chaotic because authorities are yet to implement by-laws adopted to reduce traffic. 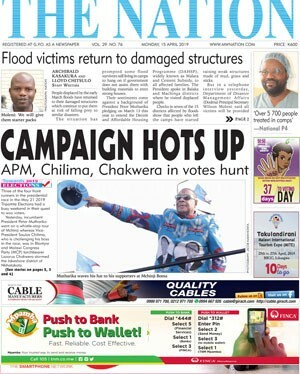 Lilongwe City Council (LCC) spokesperson Tamara Chafunya admitted in an interview yesterday the council has taken long to come up with the by-laws. According to Chafunya, this has led to continued chaotic traffic jams in the city and underutilisation of the by-pass. “It has taken the council a bit of time to draft the by-laws and adopt them.” But she could not explain the reason for the delay. The initial plans were to divert vehicles carrying heavy loads from passing through the city. But according to Chafunya, the by-laws are now ready for enforcement and what is left is identification of dry ports for foreign trucks coming in the city. Once this is done LCC will erect signposts at strategic points along the M1 to divert traffic. Some of the by-laws, according to Chafunya, are that foreign and local trucks will be fined $200 and K40 000, respectively, for non-compliance. Others are the banning of bicycle taxis in the central business district, penalties for parking of vehicles in undesignated places, regulating tonnage allowed in commercial and residential areas and introduction of spot fines of up to K7 500 for non-compliance. Ministry of Local Government and Urban Development spokesperson Muhlabase Mughogho said her ministry received the by-laws in July last year, approved them by December. She said: “The Ministry of Local Government submitted the document back to LCC for implementation last month. 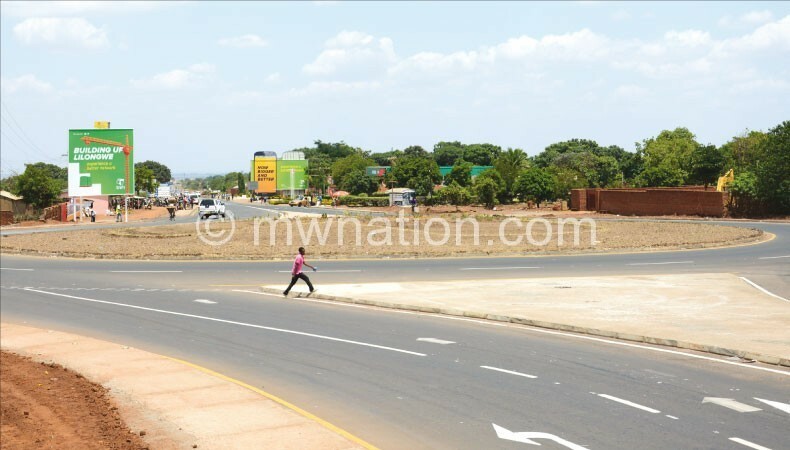 An official of the Transporters Association of Malawi, Elton Viola, in a telephone interview noted that the absence of street lights and police patrols along the road endangers lives and property which forces motorists to drive through town. But in an e-mailed response Directorate of Road Traffic and Safety Services (DRTSS) spokesperson Angelina Makwecha played down security fears saying her directorate’s officers are always patrolling the road. “DRTSS traffic law enforcers are always patrolling the roads of Lilongwe, dealing with all misconducts on the roads, this includes enforcing on all truck operators who utilise the undesignated roads and unwarranted parking areas in Lilongwe city,” she said. Ministry of Transport and Public Works spokesperson James Chakwera observed that it was a tall order for the western by-pass alone to decongest traffic in the city as such the ministry plans to construct an eastern by-pass. The Lilongwe West By-pass Road branches off the M1 at Bunda Turn-off and runs westwards crossing Likuni Road and connects to the M12 (Lilongwe – Mchinji Road) at Kaunda BP Service Station. The road is part of the multinational Nacala Corridor which connects Lusaka in Zambia to Nacala Port in Mozambique and it facilitates the easy movement of goods and people without congesting the city centre of Lilongwe thereby reducing travel times and operating costs. During the official opening of the road in November 2015, President Peter Mutharika expressed optimism that transport congestion in the city would be reduced. Said Chakwera: “Much as government would want to see trucks using the bypass, the way the town is designed as of now makes this practically impossible.